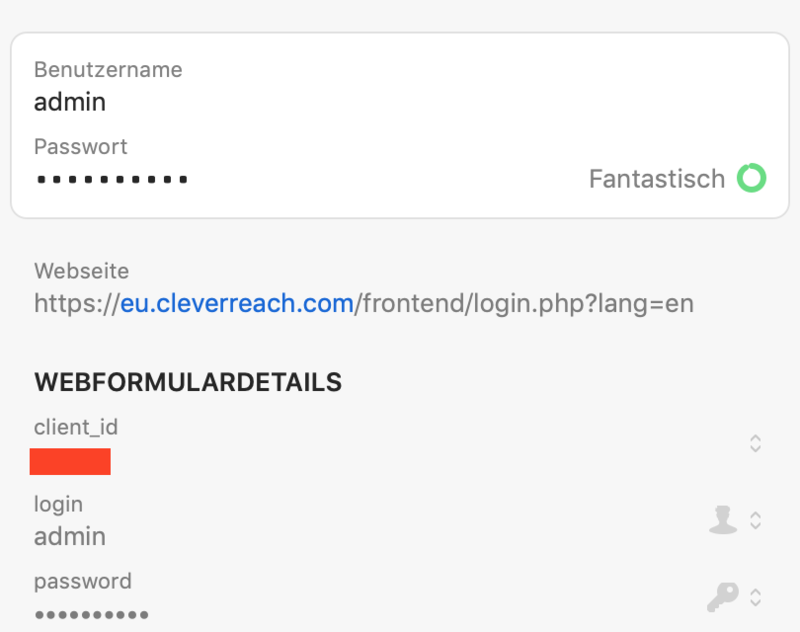 I have a problem with the login of cleverreach. Besides username/password, the form provides a field "client_id" which is required to login to the account. I've tried a few things but so far nothing has yielded any success. I will file a report and I can only apologise that there wasn't something that could help in the here and now.